Our third day on the Eastern Oregon tour started with a drive from Catherine Creek State Park through Baker City to John Day where we had lunch. 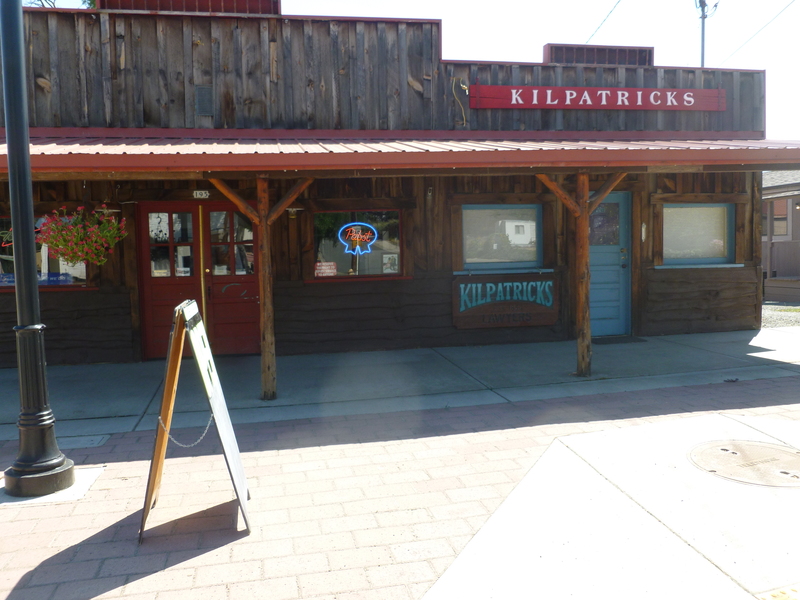 Although it was too early for a beer, we photographed Kilpatrick’s Tavern in Mt. 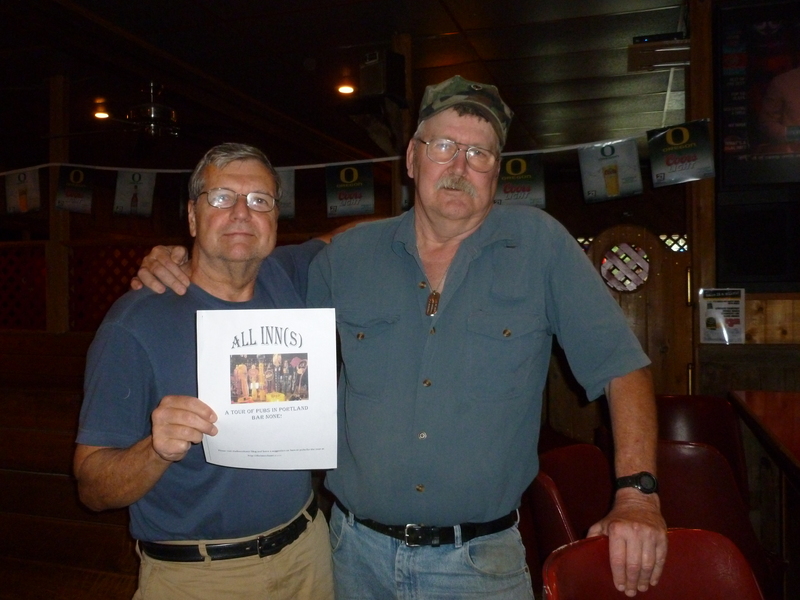 Vernon and I talked briefly to the female co-owner, who with her brother, lawyer, Mike Kilpatrick, are the offspring of the legendary Oregon lawyer, Roy Kilpatrick, who served on the Oregon State Bar Board of Governors from 1965-8. 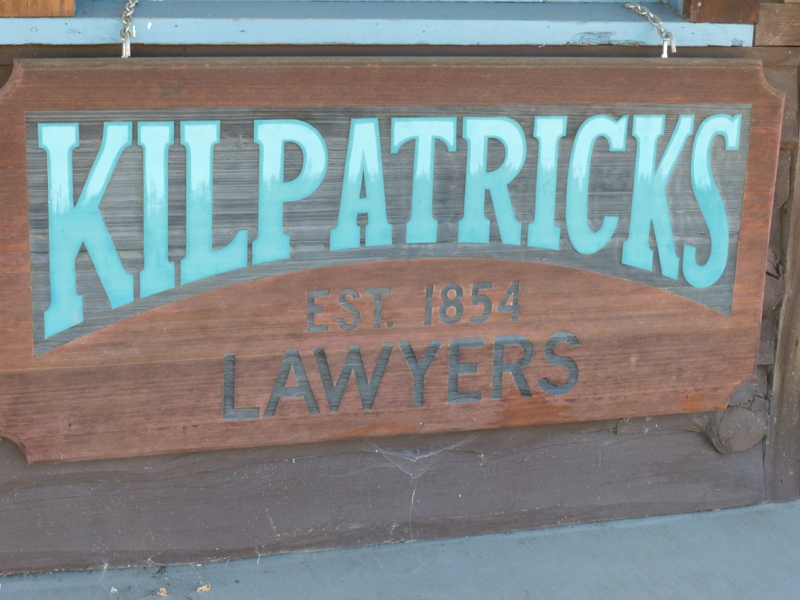 The sign from his law office by the entrance to the bar shows his firm was established in 1854. Among the partners was Grace K. Williams, the first woman elected to serve as a district attorney in Oregon, who died at 90 on June 22, 2007, in John Day. 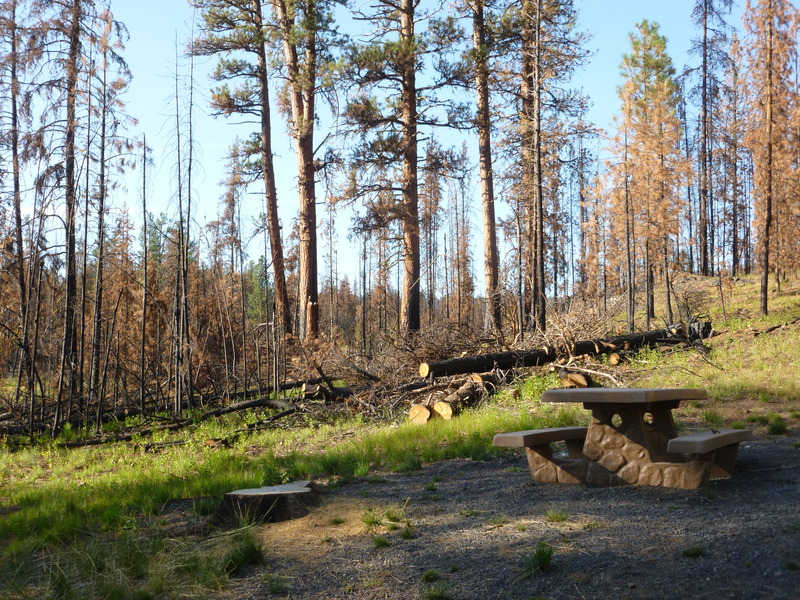 We decided to explore some other camping options before opting for Clyde Holliday State Park in Mt. 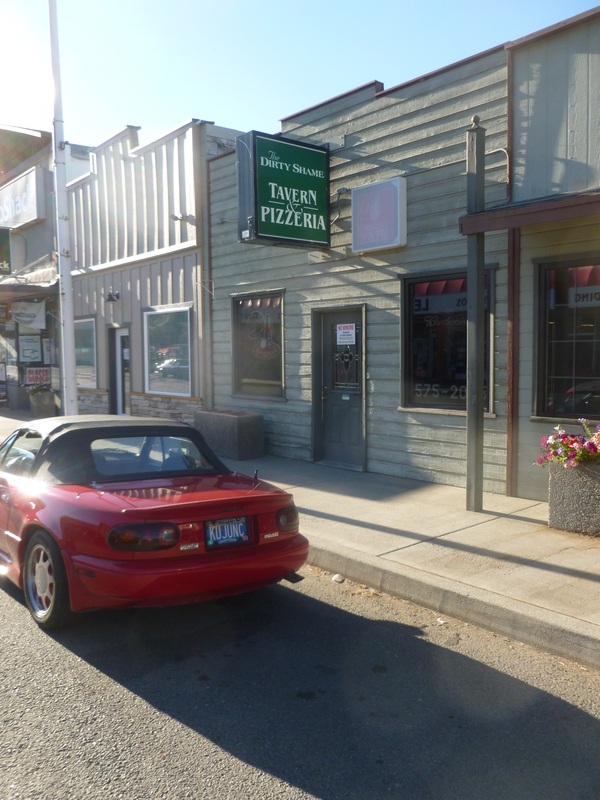 Vernon, and drove south from John Day and on the Forest Service Roads off Highway 395 past Wickiup and Parrish Cabin Campgrounds to what we hoped was a great camping and fishing at Canyon Meadows Lake. Wrong…! The “remains” of Canyon Meadows Lake. We saw the impact of the drought and forest fires. 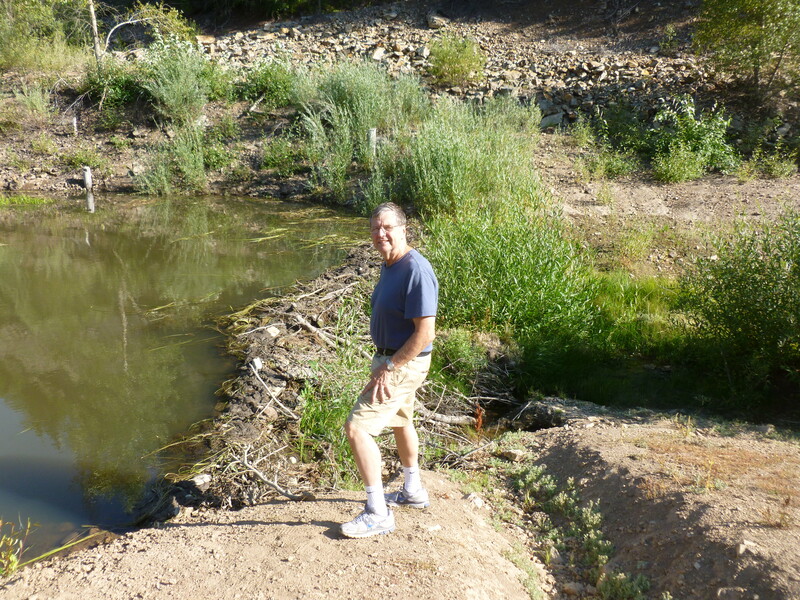 The only water at Canyon Meadows was a small creek which passed through an impressively large meadow – once the bottom of the lake – which ended with a recently erected beaver dam. So we headed back to Clyde Holliday Park for dinner and the night with an early start the next day to Burns and Diamond. 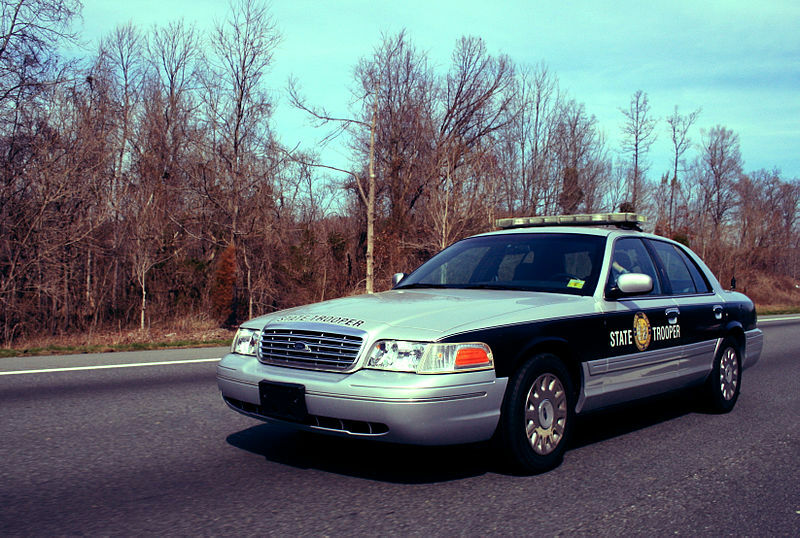 The highway was straight and well-maintained as Dave, feeling the power in his left foot, powered his Highlander up to pass two cars until he realized in the nick of time it was a cop chasing a speeder…..! 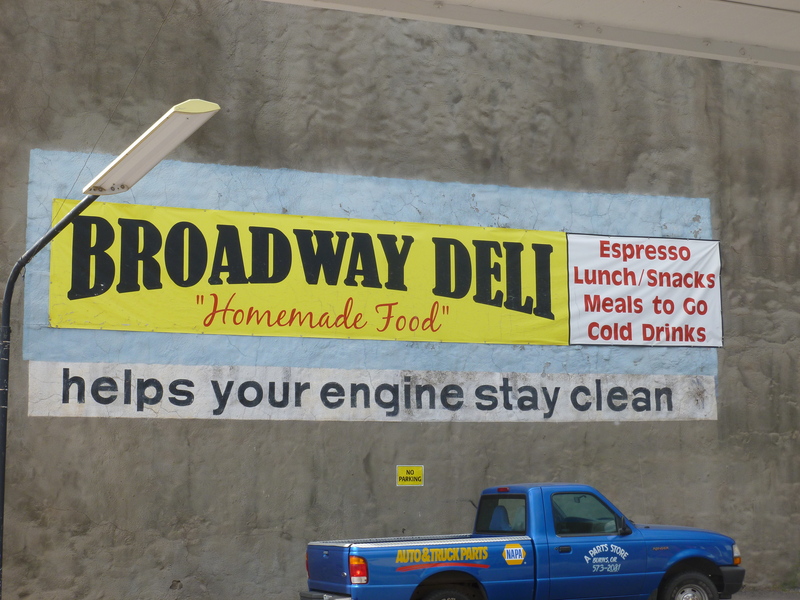 Broderick Crawford would have been appalled….. 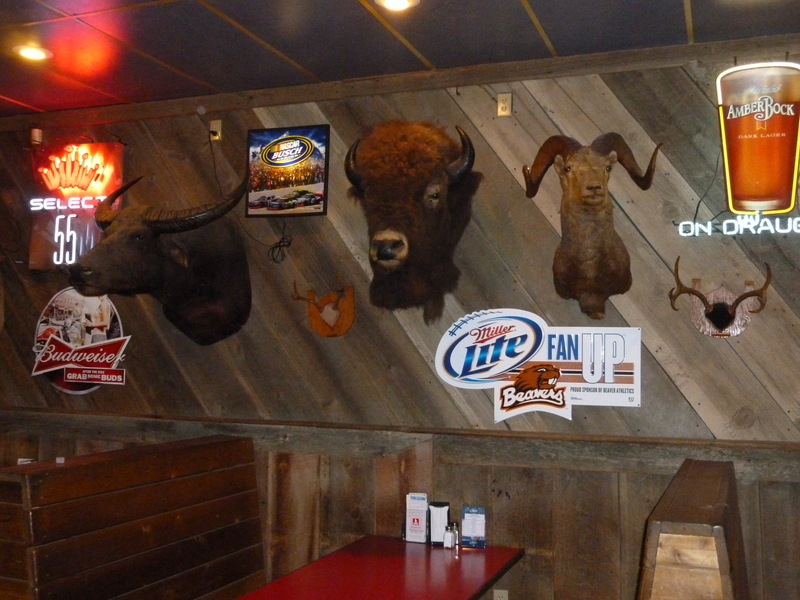 The fourth day we drove south on Highway 95 to Burns – home of former U of O and now St. Louis Rams quarterback, Kellen Clemens. 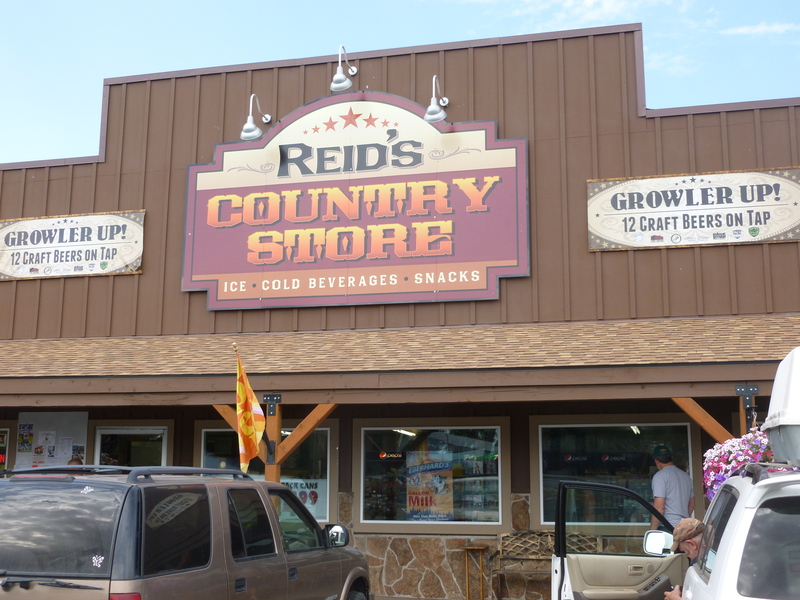 We explored and made a stop at Reid’s Country Store which had an impressive growler option for beer-hungry patrons. It was a great recommendation. We talked to owner Glen Williams, a Wisconsin native, who was very cordial and a real character. 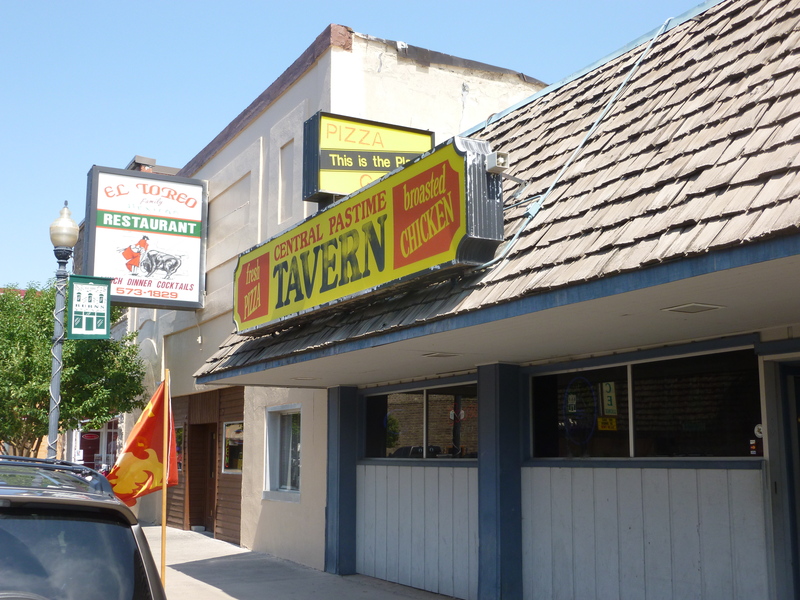 After a variety of occupations involving surveying and power, he bought the CPT seven years ago and said the original bar was in the old hotel in Burns. However, the bartender, Patty, was the star of our visit. 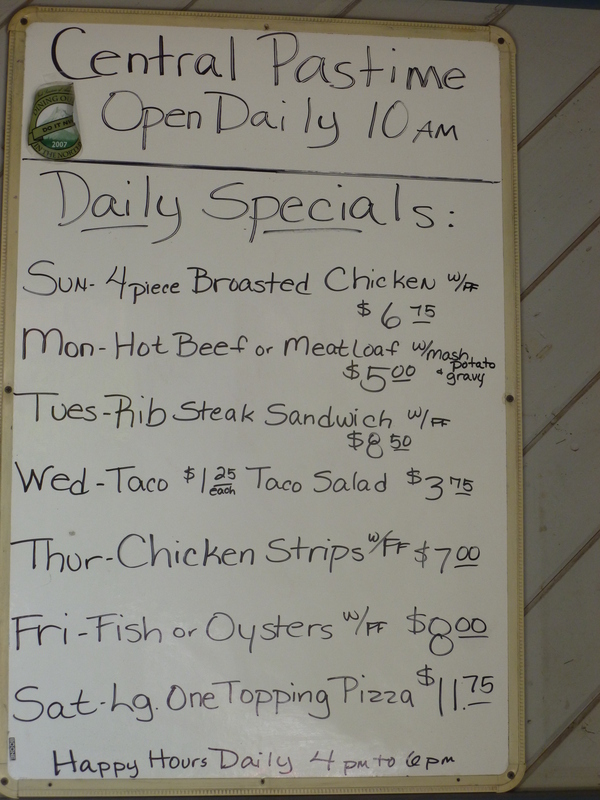 She served us a great lunch (chicken gizzards, a rib-steak sandwich and a taco salad) and we each had one of the eight beers on tap. 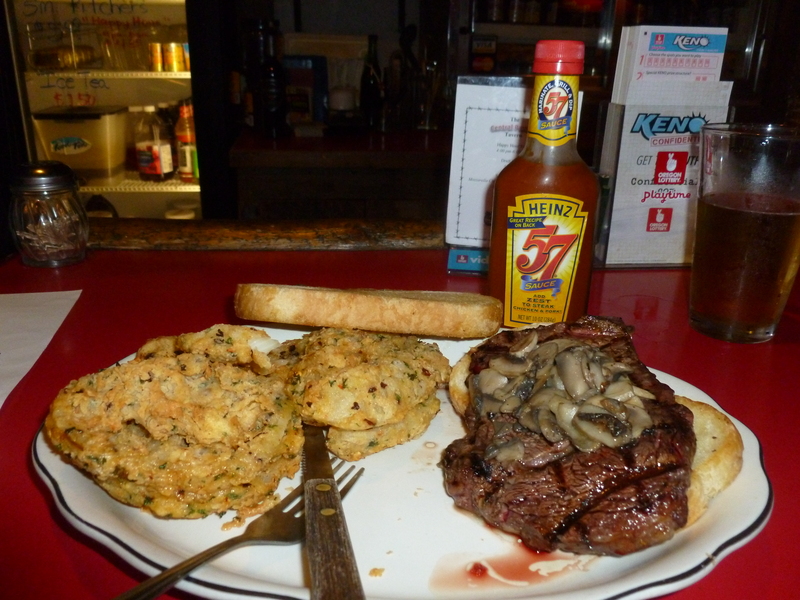 Rib Steak, onion rings and Heinz 57 – it doesn’t get any better…. 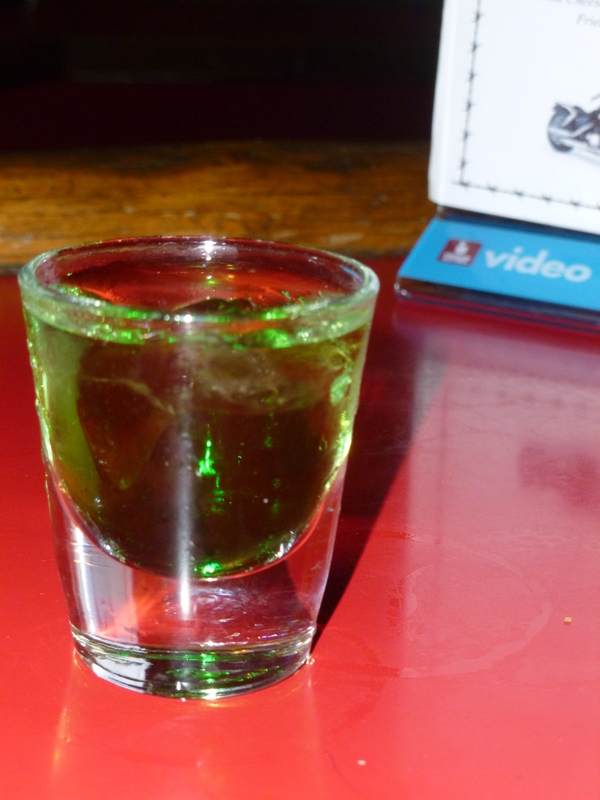 But the conversation with the hard-working Patty, an attractive and personable lady in her late forties or early fifties, was the best part of this bar. I had seen the cocktail menu which included some interesting libations including one entitled, “Liquid Marijuana.” I didn’t want to pay $9 and had already had a PBR, so Patty offered to fix a shot sampler and told us the ingredients: Captain Morgan’s Rum, Blue Curacao, Malibu Rum and a splash of Midori (green melon liqueur). It tasted like a Long Island Ice Tea with coconut. Beerchaser: How long have you worked at the Central Pastime, Patty? 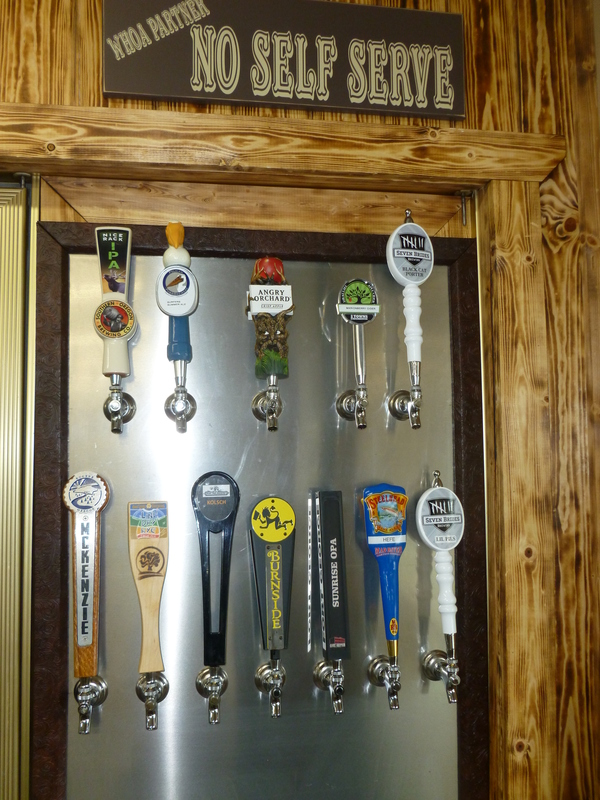 Beerchaser: Then this must have been your first job out of high school? Patty: And I thought the cowboys around here were smooth talkers. You city slickers put them to shame! 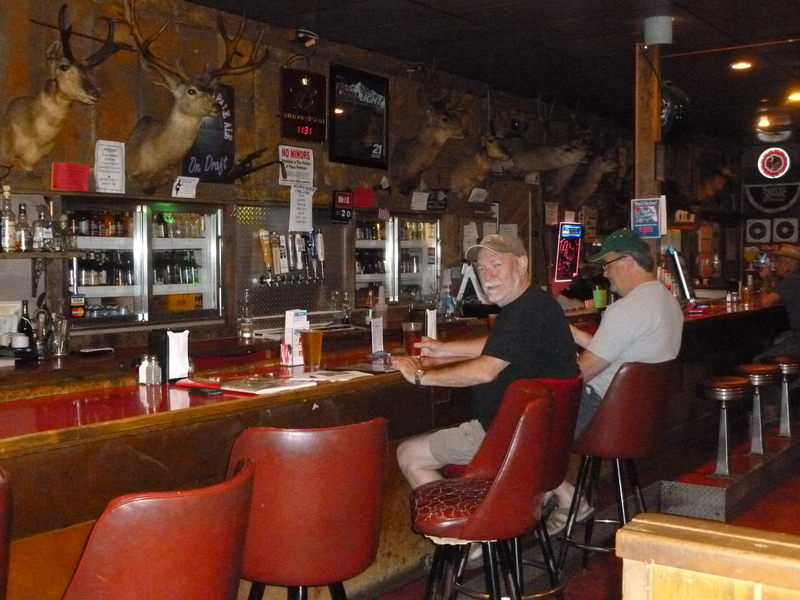 And with that parting dialogue, we took off south for the historic Diamond Hotel – our last night on Thebeerchaser Tour of Eastern Oregon. The bar at the Central Pastime. Patty was camera shy but impressed with the city slickers passing through. 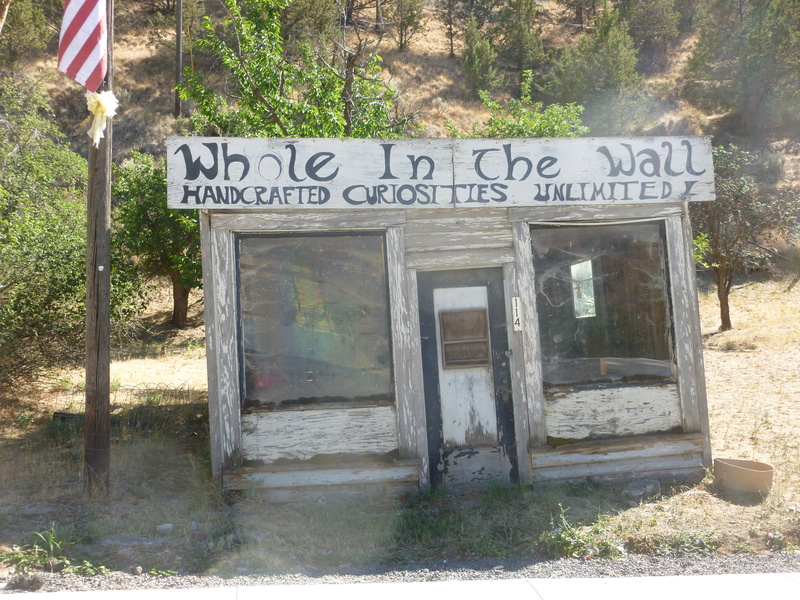 This entry was posted in Bars Outside of Portland, Historic or "Classic" Bars and tagged Blue Mountain Eagle, Canyon Meadows Lake, Central Pastime Tavern in Burns, clyde holliday state park, Diamond Hotel, Grace Williams District Attorney, Kilpatrick's Tavern in Mt. Vernon, Liquid Marijuana cocktail, Mike Kilpatrick lawyer, Oregon State Bar Board of Governors, Owen Panner lawyer, Parrish Creek Campground, Reid's Country Store Burns, Roy Kilpatrick lawyer, St. Louis Ram quarterback Kellen Clemens, Thebeerchaser Tour of Eastern Oregon, Wendell Pinky Grosso by thebeerchaser. Bookmark the permalink. I think you’re correct after I did some additional research. My companions gave me a bad time because the pictures and description of the Canyon Meadows Lake before it dried up were pretty impressive and they were looking forward to catching some fish and camping by water.